This is a tooth that requires a filling. Most molars have deep grooves in them, especially when they first erupt. 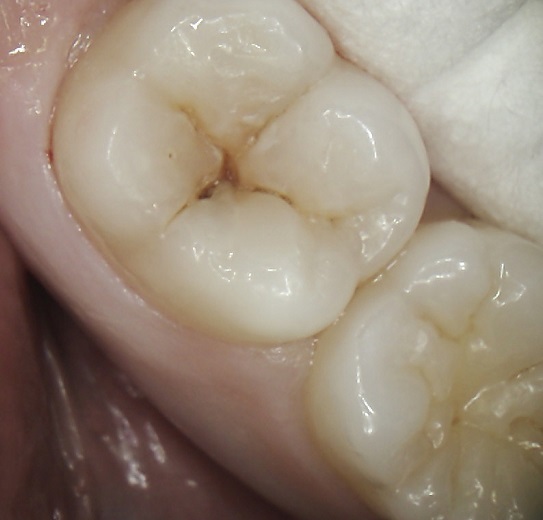 It is not uncommon for small cavities to develop in these tiny grooves. You can see the dark stained areas in the grooves of this tooth. This is what the tooth looks like after Dr. Blazer has removed the cavity and before the filling is placed. 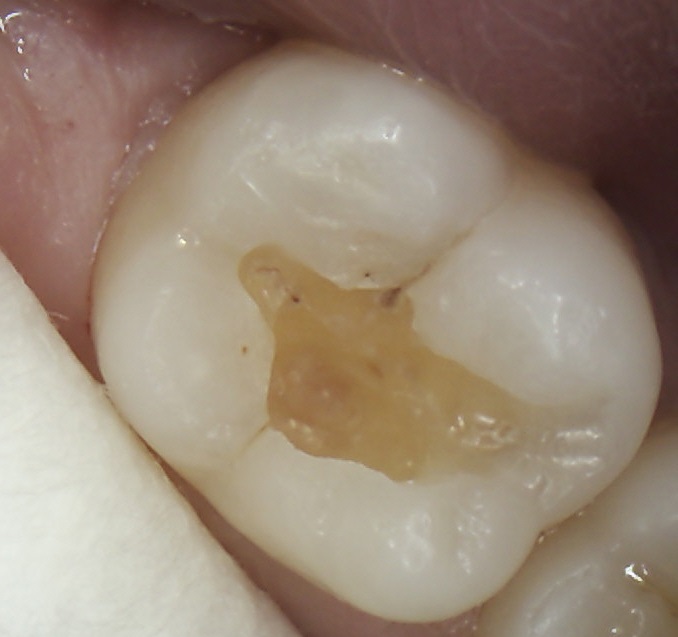 This is what the tooth looks like after the filling has been placed with a tooth-colored composite material.The composite has the consistency of a putty while it is being placed.Dr. 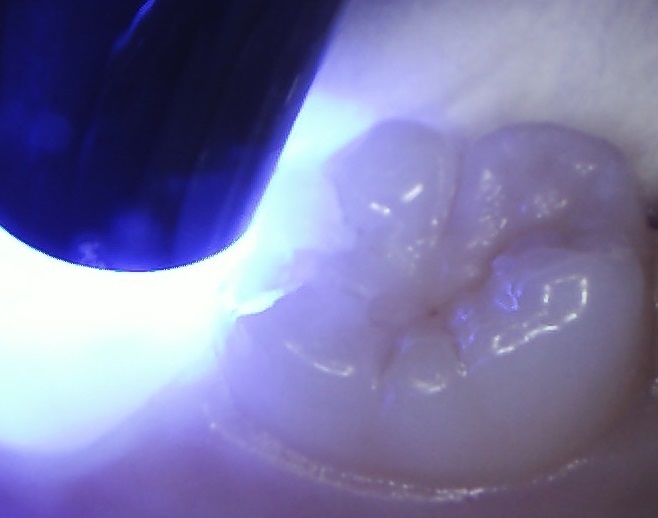 Blazer places it in the tooth, then hardens it with a blue LED light.Afterwards, she smooths and polishes the filling.